No matter how excellent an enterprise is, service failure is inevitable. When the service failure occurs, a timely and effective service recovery can enhance customers’ satisfaction and loyalty. Therefore, to reduce the impact of the potential service failure, a proactive design should be carried out by the service provider. 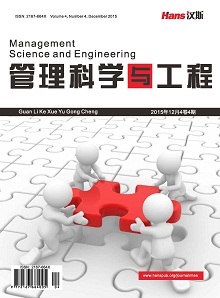 Based on the related theory researches, this paper discusses the overall and long-term effects of the service recovery from a strategic perspective on enhancing the service quality, improving the service system, maintaining the customer relations and achieving the long-term profit and so on. M. J. Binter, B. H. Booms and M. S. Tetreault. The service encounter: Diagnosing favourable and unfavorable incidents. Journal of Marketing, 1990, 54(1): 71-84. C. W. L. Hart, J. L. Heskett and W. E. J. Sasser. The profitable art of service recovery. Harvard Business Review, 1990, 68(4): 148-156. A. K. Smith, R. N. Bolton and J. Wagner. A model of customer satisfaction with service encounters involving failure and re- covery. Journal of Marketing Research, 1999, 36(8): 356-372. S. W. Brown, D. L. Cowles and T. L. Tuten. Service recovery: Its value and limitations as a retail strategy. International Journal of Service Industry Management, 1996,7(5): 32-46. S. S. Tax, S. W. Brown. Recovering and learning from service failure. 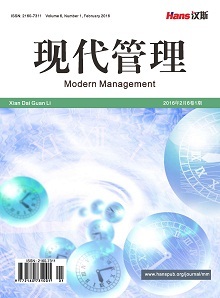 Management Review, 1998, 40(1): 75-88. 韦祥福. 对服务补救若干问题的探讨[J]. 天津商学院学报, 2002, 22(1): 24-26. J. L. Miller, C. W. Craighead and K. R. Karwan. Service re- covery: A framework and empirical investigation. Journal of Operations Management, 2000, 18(4): 387-400. R Zemke, C. Bell. Service recovery: Doing it right the second time. Training, 1990, 127(6): 42-48. K. D. Hoffman, S. W. Kelly and H. M. Rotalsky. Tracking ser- vice failures and employee recovery efforts. Journal of Service Marketing, 1995, 9(2-3): 49-61. S. W. Kelly, K. D. Hoffman and M. A. Davis. A typology of retail failures and recoveries. Journal of Retailing, 1993, 69(4): 429-452. 张圣亮. 服务补救方式对消费者情绪和行为意向的影响[J].南开管理评论, 2011, 14(2): 37-43. A. K. Smith and R. N. Bolton. An experimental investigation of customer reactions to service failure and recovery encounter. Journal of Service Research, 1998, 1(1): 65-81. A. S. Mattila. The effectiveness of service recovery in a multi- industry setting. The Journal of Service Marketing, 2001, 15(7): 583-596. S. Wenu, S. E. Beatty and M. A. Jones. The impact of service failure severity on service recovery evaluations and post- recovery relationships. The Journal of Services Marketing, 2004, 18(2): 133-146. M. A. Hocutt, G. Chakraborty and J. C. Mowen. The impact of perceived justice on customer satisfaction and intention to complain in a service recovery. Advances in Consumer Research, 1997, 24(1): 457-463. D. Grewal, A. L. Roggeveen and M. Tsiros. The effect of com- pensation on repurchase intentions in service recovery. Journal of retailing, 2008, 84(4): 424-434. 宋亦平. 服务失误归因对服务补救效果的影响[J]. 南开管理评论, 2005, 8(4): 12-17. Yim, et al. Justice-based service recovery expectation: measure- ment and antecedents. Journal of Consumer Satisfaction, Dis- satisfaction and Complaining Behavior, 2003, 16: 36-52. D. Nikbin, H. Armesh, A. Heydari and M. Jalalkamali. The ef- fects of perceived justice in service recovery on firm reputation and repurchase intention in airline industry. African Journal of Business Management, 2011, 5(23): 9814-9822.